Set up groups to view, compare and report on related services based on region, type or other common factors. Your network reports page shows you a list of services that you can view, compare and report on. 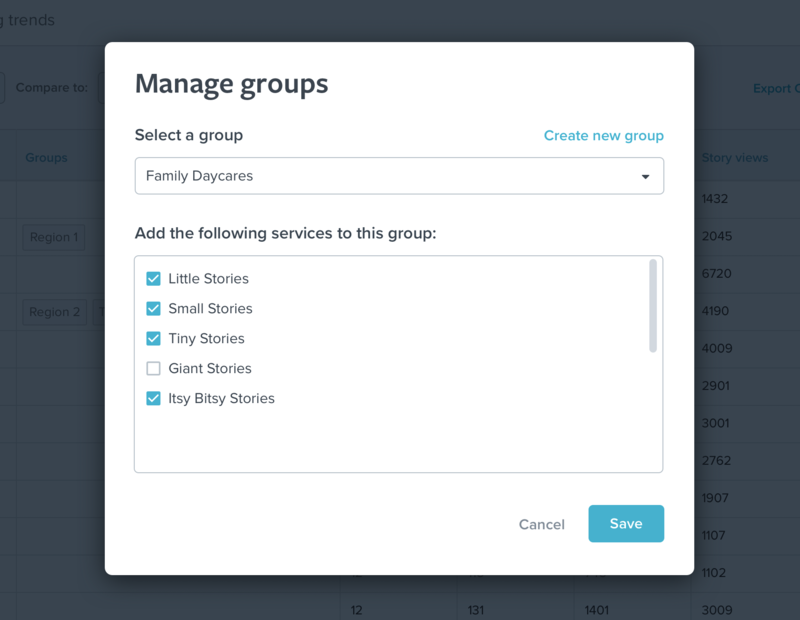 You can either view as a list of all services, or as a subset of services that you set up as a Group. But you can choose to group your services in any way that suits your particular context or way of working. You might, for example, choose to set up a group of services who need additional support to make it easier to see where you need to focus your support. Your new group will now appear in the dark blue Groups bar. 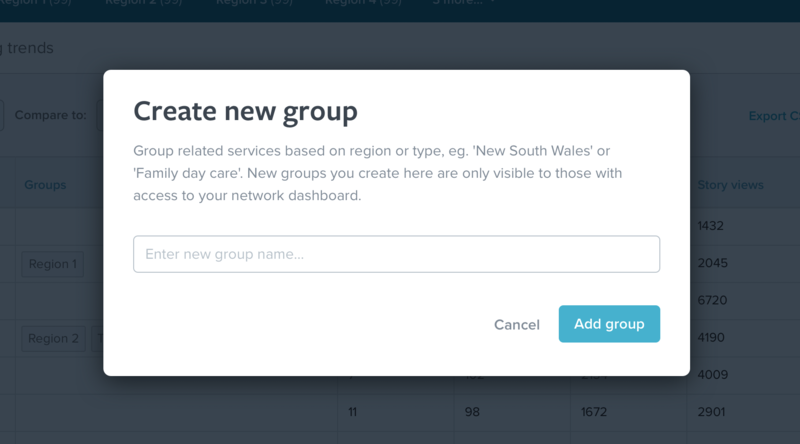 Clicking on your new group will display a report showing only the services in that group. Note: When we launch network messaging you'll be able to quickly and easily send messages to the groups that you create.